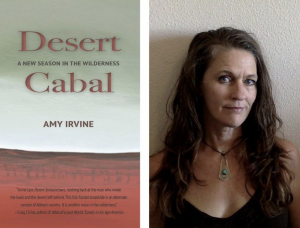 Author Amy Irvine joins KZMU’s Radio Book Club to talk about her forthcoming novel, Desert Cabal: A New Season in the Wilderness. Irvine and the book club crew discuss her work, its origins, and how she “celebrates and wrestles with” Edward Abbey’s classic environmental novel, Desert Solitaire. Through her new book, Irvine takes on Abbey’s dated “lone male” narrative, steeped in whiteness and privilege, while celebrating how the author taught so many to love the wilderness. Also get the latest on what the community is reading with some book recommendations from Meg Flynn of Grand County Public Library, as well as Andy Nettell and Shari Zollinger of Back of Beyond Books. Tune in for a lively show!